We Brits are incapable of carrying on a normal life when, on those rare occasions, it snows. Apparently. Tonight, in the process of moving bibs and bobs from the outside storage area to get to the snow shovel and rock salt, I came across an old deck chair. So, in the midst of a snow storm accompanied by lightening (yeah, go figure! 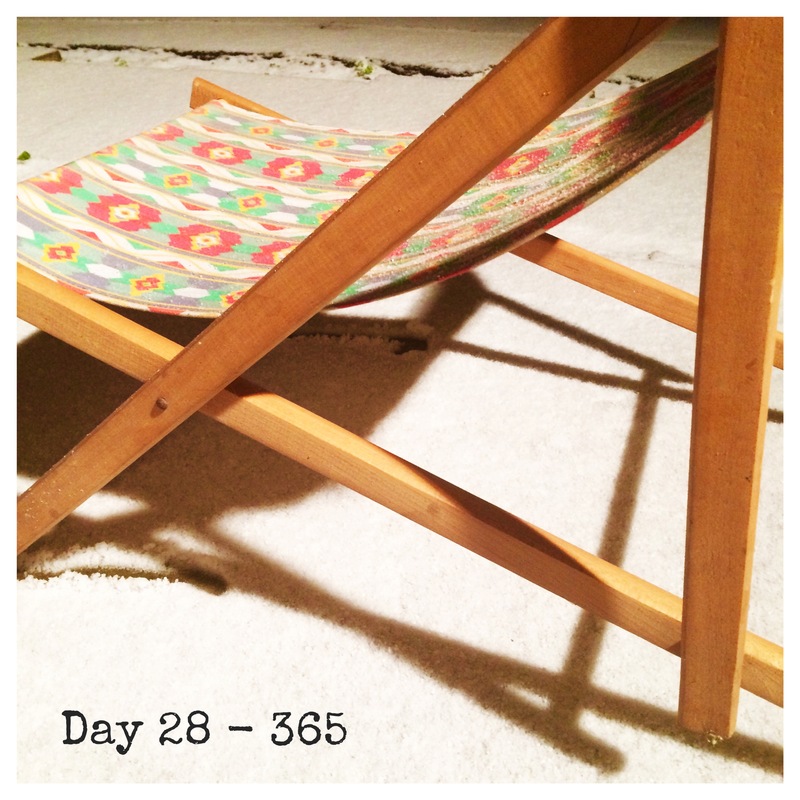 ), what can be better than a deck chair in the snow? So, next time it snows, forget the shovels, wellies, snow tyres and chains, and simply get out your deck chair.